I mean like this part of the notification bar, i can't pull it down. 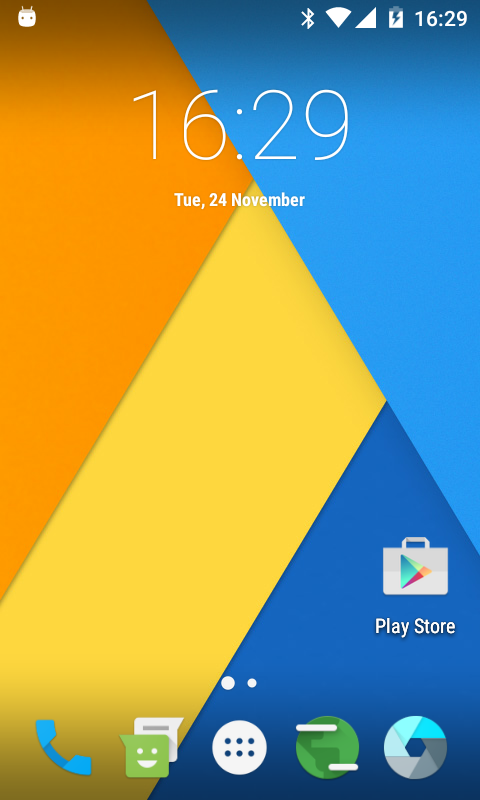 In the previous versions of CM13 i could. No problem there. Works just like before. Yeah, it still works with my dirty data so I didn't notice this. It doesn't work with clean installation. Regular swipe lockscreen also works after you once reboot your device after a clean installation. Here i've got the footage for you to see my problem. I've still got both problems. Sorry for the video be horizontal, my brother smartphone has a rotation problem. Make sure you've followed installation instructions on the third post and reboot your device once after that. Hello friend, what changes has the new build? Improved performance? I've been testing it and does not yet have a performance to 100%, then wanted to know if it has improved, I hope your answer, Greetings. Pd: Sorry for the mistakes, my native language is Spanish. What does the changelog say? It has whatever changes were merged to CyanogenMod between build before that and yesterday. No device specific changes. IMO this is an honest representation of what CM13 is on this hardware (no device/msm8610 platform specific issues). What are you to say how it's supposed to perform when this hardware isn't even supposed to run Marshmallow in the first place? I understand it, i just wanted to know that. 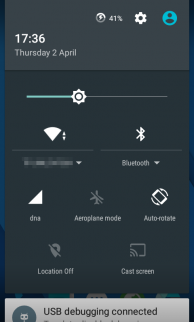 I like to report a very common bug in this Cyanogenmod 13, sometimes waking the screen does not appear immediately lock screen, black screen appears, and some lags, that's what I mean, does not have a stable flow in that aspect, sorry for the inconvenience; I appreciate your work with this smartphone. I've never experienced such issue. Logcat? In this moment i don't have an available logcat cuz i come back to kit kat because of this bug that sometimes does not allow daily use, i'll try again to install Marshmallow and get logcat. was someone capable of using Miracast? I try to use it with my TV, but it is not recognized. No idea if it's working. I don't have any Miracast (or whatever name each manufacturer wants to call it) devices. Wifi display is not enabled so you'll likely at least need to set 'persist.debug.wfd.enable=1' property to test. Then try pairing with your smart tv under 'Wi-Fi Direct' in wifi settings and see if you can see it under 'Cast' in display settings. Something like this guide. i missed the additional step with wifi-direct. That is quite fine so far. But miracast doesn't work. I can scan and see my TV, but as soon as I try to connect, the zte get unresponsible und after a while, it reboots/restarts the gui. (heavily battery drain) But it needs a complete hardreset, to get the ui back to work. The feature 'miracast' seems to be buggy. In the next days, I will provide a logcat for the protocol. I do not need this feature in a productive way, so no hurry to solve this. Here's an early taste of Marshmallow for ZTE Open C / Kis 3 (Beeline Smart2, Moche/MEO Smart A16, ZTE V811W, ZTE V811, Skinny V811, Optus Hop Smart, ZTE Blade M, etc). It is unofficial and unsupported by the CyanogenMod team. It's for advanced users only. Do not mirror my builds! Please post a link to this thread instead. Important!!! If you’re using my open sourced work as a part of your project, be fair and give proper credits, and contribute back by keeping your project open source as well. I've put countless hours of my spare time into this project and I deserve at least this (I'm not getting paid to do this). Free and open source doesn't mean without respect! Same chipset != same hardware. Your device likely has different display panel, touchscreen, cameras, sensors, etc. If your device has unlocked/unlockable bootloader and kernel source available, there's nothing stopping you from building custom recovery and custom ROM for your device. This ROM won't work on your device. I installed your rom on a ZTE OPEN C. It works great, I enjoy it. I tried to format the sd card as internal memory, but it doesn't work. Please search the thread first. Well, I flashed the last build. In cyanogen settings, you can format the sd card, either as storage, or as internal memory. 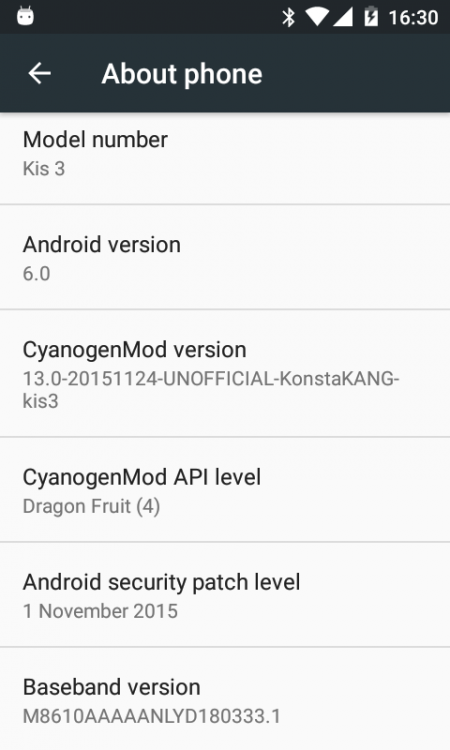 It's not the latest build from the first post of this thread or you need to be more specific than that (what is cyanogen settings?). Hi Konsta, i want to report a bug or error, sometimes (It does not always happen.) when i want to unistall some app my kis 3 restarts without reason, i have no idea why that happens, i have your latest build of CM13.